While the Disney’s Wilderness Lodge Resort is still undergoing a massive refurbishment, a restaurant has opened there today. 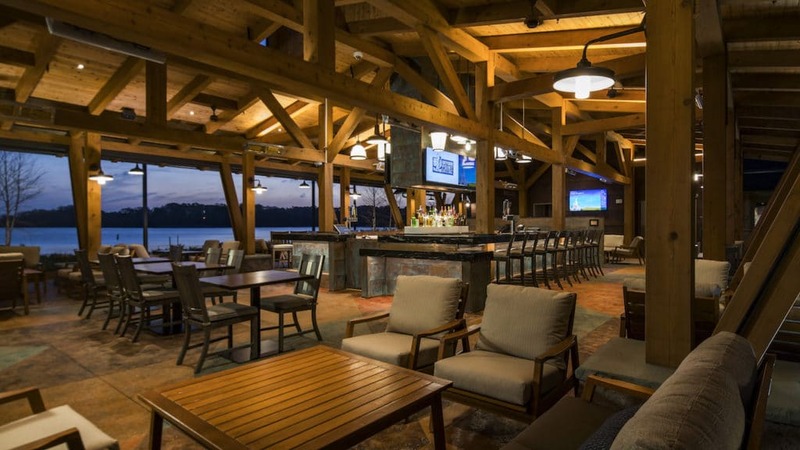 The new Geyser Point Bar & Grill, where guests can grab a bite as they enjoy the resort’s rustic beauty. The overall look and feel of Geyser Point Bar & Grill is Pacific Northwest and you will see this through the beverage and food menus. At the bar there are drinks which feature Pacific Northwest brewers and distilleries, and wines focusing on heritage varietals grown in Oregon and Washington. The Grill is open for breakfast, lunch and dinner, a quick-service walk-up window next to the bar makes it easy to order and dine alfresco. Breakfast consists of hearty, traditional breakfast foods as well as items that appeal to more refined palates. A lighter option is also available.